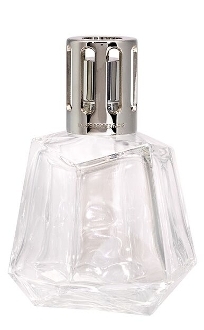 Lampe Berger surfs the geometric trend with this fragrance diffuser designed by Utopik Design. The taut lines capture the light and add an ultra-modern touch to this catalytic lamp. In addition to transparent glass, Origami is available in blue or smoky grey.